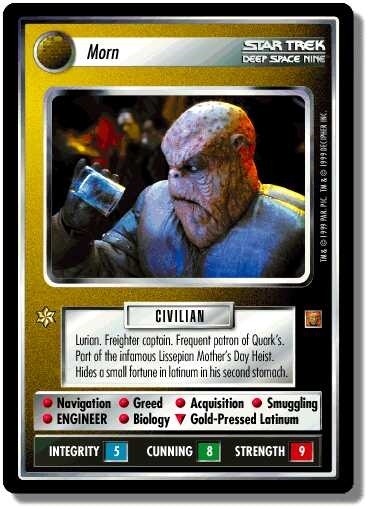 Characteristics: "Reshape the Quadrant"-related cards, "affiliation", Captain, "Quark"-related personnel. There are 24 entries for Morn (ST1E 8 R+ 111) at the Tradeplace (22 haves and 12 wants). Click here to see all trade list entries for this Rare Plus card!